A great choice of bed frame for your master bedroom. 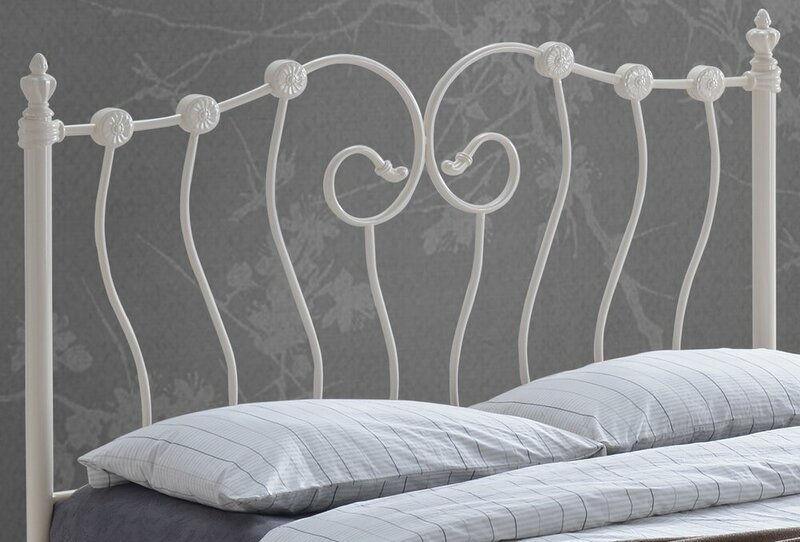 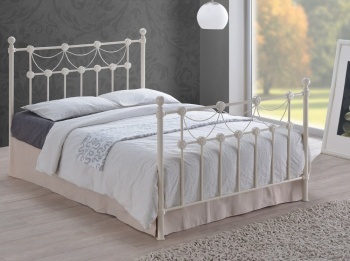 This Victorian inspired bed has beautiful ornate detailing adds a feminine feel. 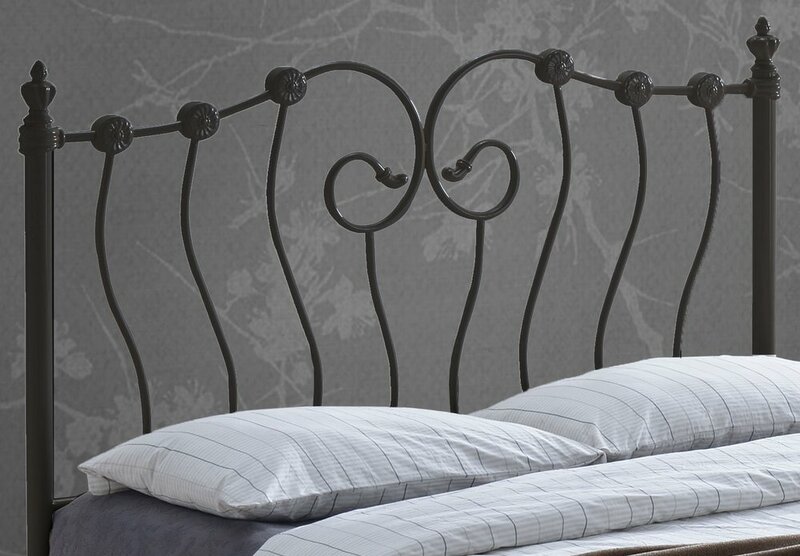 Available in black or ivory finish. 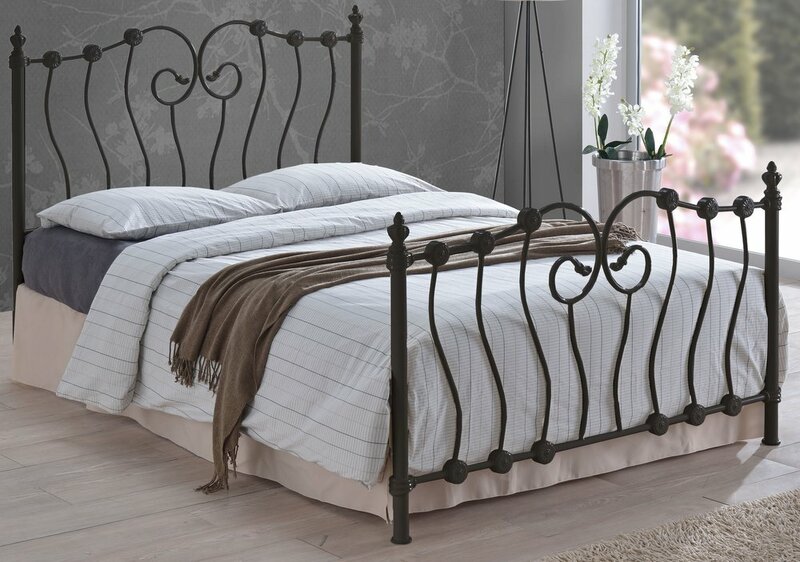 The Inova metal bed frame has a sprung slatted base for extra comfort. 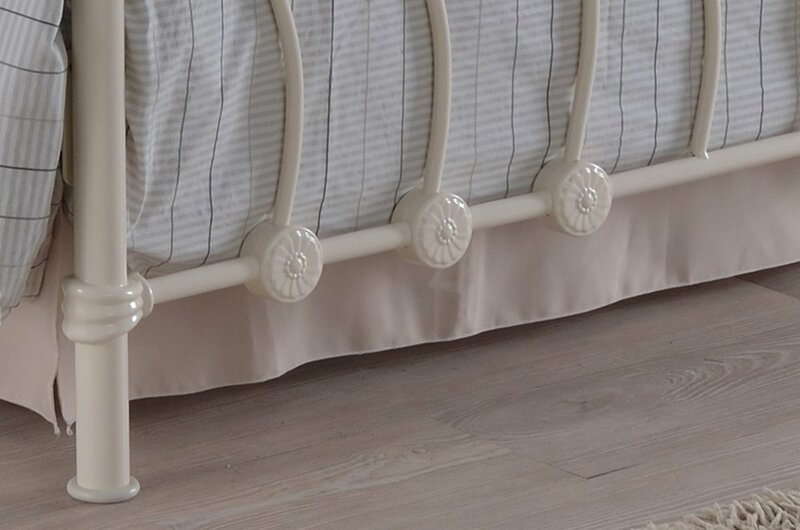 The under bed clearance/storage space is 25.5 cm. 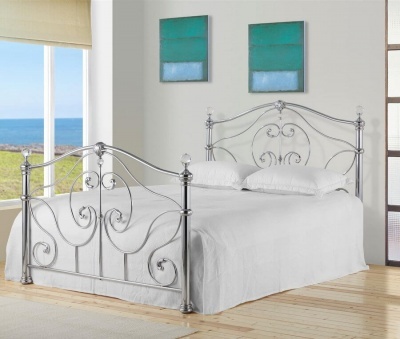 The overall dimensions of the Inova 5ft metal bed frame are: H114.5 L211 W155 cm. 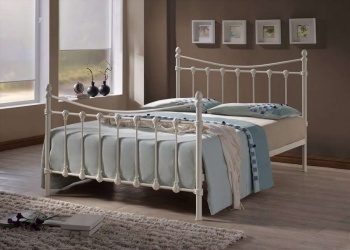 Floor to mattress base: 31.5 cm. 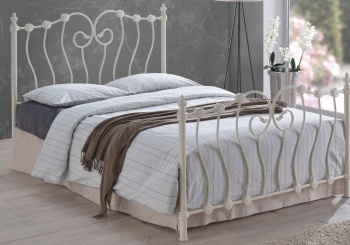 Footboard height: 84 cm.